Grace and Nessy are gorgeous hope they find their perfect forever homes. Valbitz that great news for puss! 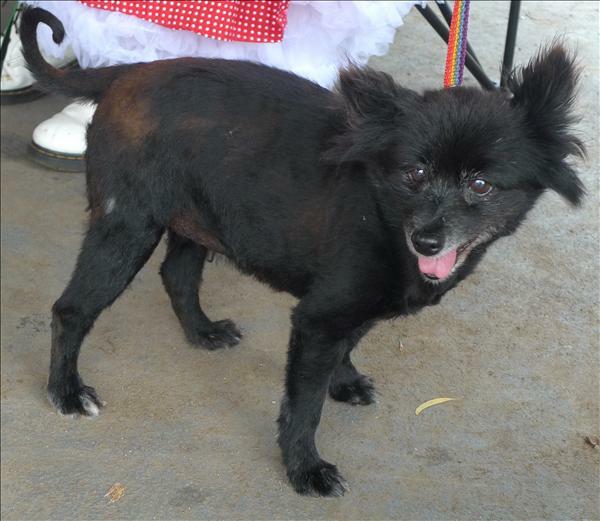 Todays senior is Gypsy, listed as a Pom cross and just over 13 years of age Gypsy is waiting for a loving home in her twilight years at the Armidale RSPCA in NSW. Gypsy is so 100% my kind of little dog. I wish finances (and emotional resources) weren't in such a parlous state - I would be in the car going to get her. I am sure she will be very quickly adopted by my many dopplegangers LOL. That's what a lady who used to work at Renbury said, many moons ago, when I range about a little girl :laugh: :laugh: Sigh. All over now. Have four elderly dogs, one elderly cat and one elderly owner. I just watch and hope these days. Oh dear little Gypsy girl ???? Hope she finds a lovely warm spot on someone's sofa very soon. 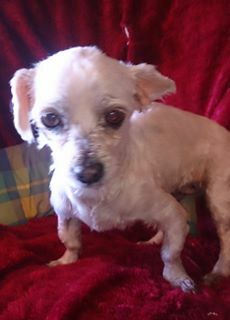 This little sweetheart is Flossie she is listed as Maltese cross and is almost 11 years of age. She is waiting patiently at the Gunnedah RSPCA in NSW. Flossie is no longer available, I hope this dear girl has a wonderful home. I really shouldn't look at this thread. Look at dear ol' Flossie ???? I vaguely remember something called Seniors for Seniors, where some group placed senior dogs with senior people. Is that still around somewhere? All these gorgeous seniors are breaking my heart, really hope they can find their forever retirement home. 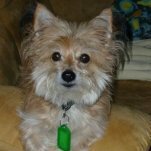 Flossie is a cute little elderly lady. I have 2 seniors today as I couldn't make up my mind which one to post. The first one is Oscar a seven year old Border Collie with a lovely smile. He is currently at the RSPCA in Bendigo and is available for no fee. This is David a Staghound x who is nearly 9 years old. David is also at the RSPCA in Bendigo and is available for no fee. HazyWal, this thread has been a great idea of yours It may help a senior find their retirement home and if it does then it is well worth it. I'll share this gorgeous boy on our Iggy Rescue Facebook page! Oh, beautiful boys, Valbitz. Love Davey (couldn't help myself - had to change his name). I got a bit excited when I noticed old Bill that I posted first had been taken off the list at SADS. I sent them a message but unfortunately they had just changed his listing to the medium dogs instead of the large They did thank us for sharing him though and hope his perfect family come along soon. Oh Oscar ???????? what a handsome boy you are. How could anyone have you let you go sweet fella. Paws crossed you find a loving family with space on their couch for you. Oscar is still waiting for his forever home.